Pharm4GOOD has partnered with Upward Bound at Penn to teach a pharmacology-themed curriculum as part of their “College Prep Saturday” program. Upward Bound is a national organization that provides educational resources and support for low income students. You will have the opportunity to work with small groups of high school students as they learn about the cell cycle and discover how cancer is the loss cell cycle regulation. Students will learn how to use microscopes and examine stained slides to assess cancer cell morphology. 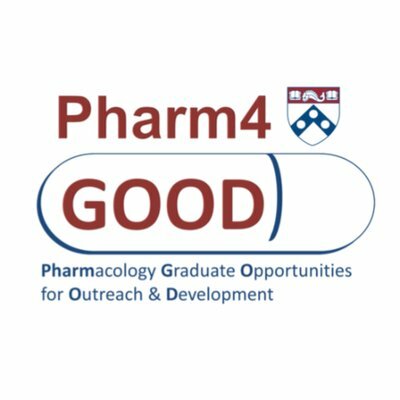 Pharm4GOOD has partnered with Upward Bound at UPenn to teach a pharmacology-themed curriculum as part of their “College Prep Saturday” program. Graduate student volunteers will work with small groups of students during a hands-on activity. Students will measure the amount of sugar in soda, apple juice and fresh apples and learn how the body converts sucrose into glucose. The activity will be complemented with a lecture that will de-mystify how and why people living with diabetes metabolize sugar differently and how diet can play a role in their overall health. Event – Learn to Lead: Expanding Opportunities for BGS Graduates – Rana Gupta, Ph.D.
Navigating the Crossroads: Where Do We Go From Here? For more information, see the events calendar.